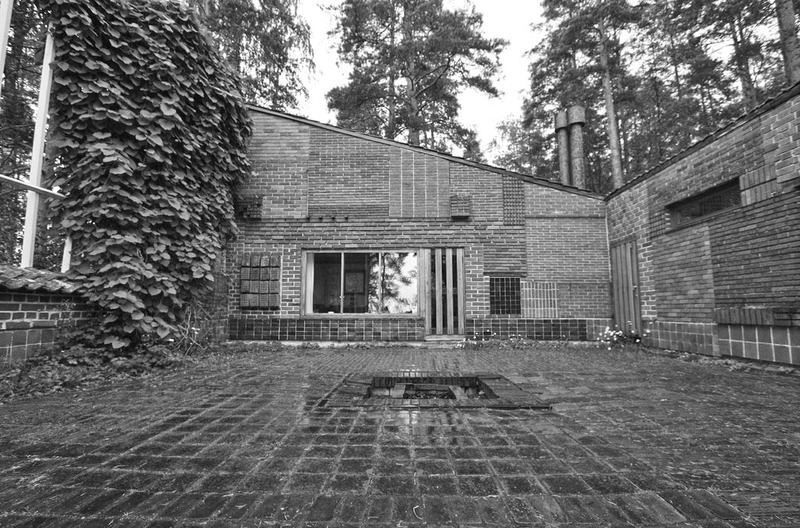 Finnish architect, Alvar Aalto, had an international reputation for a ‘distinctive blend of modernist refinement, indigenous materials, and personal expression in form and detail’. Born in 1898 when Finland was part of the Russian Empire, Aalto took a break from his architectural studies in Helsinki to fight in the Finnish war of independence. After graduating in 1921, he travelled around Europe before returning home to began practice. Over his career he achieved international acclaim for more than 200 buildings and projects and we take inspiration from his work. His became well-known in the late 1920s for the Turun Sanomat Building, a newspaper office in Turku and the tuberculosis sanatorium at Paimio. These buildings were designed in a straightforward and functional manner, without any historical stylistic references and incorporated smooth white surfaces, ‘ribbon windows’ and flat roofs. The sanitorium has been described as a work of both art and science: at the micro-scale the patients’ rooms received incredible attention to detail (lighting was never at sight lines and non-splash sinks allowed users to wash without disrupting others) while at the macro-scale the large, landmark building integrates perfectly with the densely forested landscape. The Municipal Library at Viipuri (now Vyborg in Russia) was a departure from his earlier style, incorporating a spatially complex interior arranged on different levels. The library auditorium is particularly notable as it comprised an undulating ceiling of wooden strips, the warmth of which provided contrast to the whiteness of the building and appealed to both the public and professionals who were not enamoured with the ‘clinical severity’ of modern architecture at the time. The horseshoe-shaped Jyväskylä University Building (1951) was nicknamed ‘the Athens of Finland’. An entire campus plan, the designs incorporated tree-lined paths with the inner part of the university closed off to traffic. Each building has two entrances to allow conduit from the city to the more ‘discreet court’. His Festival Hall is a combination of multiple lecture halls, a poetic gesture to create enticing and exciting spaces for everyday academic work. Aalto’s furniture designs were a natural extension to his architectural thinking. The ‘human touch’ of the wooden library ceiling is recognisable in his curved laminated wood furniture. He saw furniture not simply as an isolated object in space and his functional furniture remains popular internationally, despite changing styles. He also created lighting and glassware that were described as works of art, embodying an expressionist style with a keen sense of purpose and practical function. 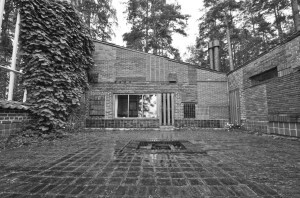 Although Aalto passed away in 1976, his works continue to receive the care and attention they deserve. The Vyborg library was recently restored and the Finnish commission responsible for the work won the 2014 Modernism Prize for preservation of a modern landmark.The Finlandia Prize for Architecture was also awarded in 2017 for the overhaul of the Harald Herlin Learning Centre and several other Aalto University campus buildings that were originally designed by Aalto. The renovation included updating the library to suit the technological needs of the university while retaining the traditional elements of the original design.